The heavens received another angel as Darrian Leanne Lee, age 64, died Thursday, October 8, 2015 at her home in Carpinteria after a gallant nine year battle with Alzheimer’s disease. She was born July 23, 1951 in Los Angeles, CA. Her family moved to Riverside CA in 1953, where she graduated from Riverside City College in 1971. Darrian met her future husband Mike in 1970, and they married in 1973. Darrian, Mike, and son Scott moved to Carpinteria in 1976. 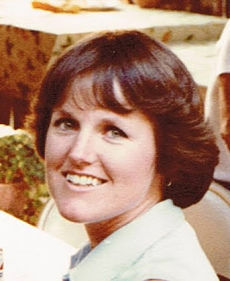 Darrian’s spirit is carried on by her husband of 43 years; Mike Lee, her son; Scott Lee and his wife Dajixa, her sister; Lana Henifin and her husband Richie, her nieces; Sheila Mangum and her husband Scott, and Allison Davis and her husband Pat, Sandra Austin, nephews; Chris Baumstark, Steven Henifin, and Brandan Grovier, grandniece; Lilly Baumstark, grandnephews; Ryan Davis, and Dashiel Mangum; and by an extended family of relations and friends from every walk of life. She is preceded in death by mother; Dorothe Parker-Grovier, dad; Lester K. Grovier, sister; Marta Baumstark; and brother David Grovier. Throughout her life Darrian was able to touch the lives of many. She worked as Teacher’s aide at Canalino School in Carpinteria from 1976-1982, before beginning her career of almost 18 years; serving as Senior Administrative Assistant to SB County Treasurer Tax Collector while developing many great friendships along the way. If you knew her, you loved her, there was no exception. Darrian was forced to retire early from SB County when she was diagnosed with Alzheimer’s in 2006. Refusing to give up, Darrian valiantly fought the insidious disease for nine years, until she succumbed. Before becoming ill, Darrian enjoyed crafts, reading, gardening, and spending time with her friends, family. She loved to go to Las Vegas, and she was always very lucky when she went. Her personality was truly infectious, she never spoke ill of anyone, and she always chose to see the best in everyone. A beautiful soul, kind, generous, loving, and strong until the very end. She will certainly be missed by all, and forgotten by none. Funeral mass will be conducted by Monsignor Richard Martini, Friday, October 16 at 1:00 p.m. at St. Joseph’s Church, 1532 Linden Ave, Carpinteria, CA 93013; (805) 684-2181. A grave site service will immediately follow at Carpinteria Memorial Cemetery, 1501 Cravens Lane, Carpinteria. A reception will be held at Darrian and Mike’s house, 1322 Sterling Ave., (805) 453-2916. In lieu of flowers, the family asks that donations be made in Darrian’s name to the Alzheimer’s Association, 1528 Chapala St, Santa Barbara, CA 93101, (805) 892-4259.